India has announced that it will be building its first offshore wind energy system. The offshore wind farm will take root off the coast of Gujarat and may be the first of many similar projects that will take form in the country. The project is meant to serve as a demonstration of the energy potential that can be found offshore. If successful, India may choose to tap into the vast offshore wind resources it has access to. The government has established a joint venture company that will be responsible for developing and managing the project. The joint venture company is backed by the Ministry of New and Renewable Energy, National Institute of Wind Energy, and several other organizations specializing in clean power. The government will be providing subsidies for surveys and studies, which will be responsible for finding the best location for the new energy project. The offshore wind power system will have a maximum capacity of 100 megawatts. This electrical power will be funneled back to the mainland, where it will be fed into India’s energy grid. The country already has 22 gigawatts worth of onshore wind capacity installed and activated, but there may be more potential offshore. Energy projects at sea could help the country achieve its clean energy goals much faster. 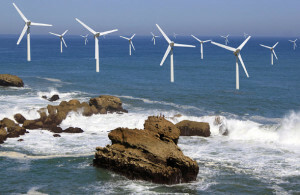 The Indian government is also preparing to reveal a Draft National Offshore Wind Energy Policy. This could outline the country’s future efforts concerning wind power. It may also create a conducive environment in which wind power could thrive. Currently, the country is considered one of the most attractive renewable energy markets in the world, largely because of the government’s aggressive support for clean power. As India grows more interested in wind power, it may begin to attract the attention of prominent energy developers from around the world, many of whom specialize in wind energy.